Recently I heard an author describe his book to a potential reader. And then I watched the reader’s face glaze over. It happened more than once. No one bought a book. What went wrong? I’ll tell you. He never told the reader what his book was about, but he went on and on for several minutes. This may not be a traditional editing tip, like how many words you need for a thriller novel, (around 90,000 – 110,000) but once your book is published you have to sell it. No matter which publishing road you take. The author is always selling. And even before you sell it, you might be pitching to an editor or agent. You have to be able to tell others what your book is about. In 25 words! Okay, I’ll give you one or two more, but it needs to be in one sentence. Have you heard of the elevator pitch? That’s what this is. Thirty seconds to tell someone what your book is about. Not five minutes like my author friend from earlier. Here’s mine from my first book, Welcome To Kata-Tartaroo: A thirteen year-old boy was catapulted to the scariest place imaginable and has twenty-four hours to collect three mystical objects to save him and his two new friends. That was twenty-eight words. Now, if I have a chance to explain more to my reader I can, but if I can’t, you get an idea what that book is about. It’s middle grade (thirteen year-olds), probably a fantasy (mystical objects and catapulted to the scariest place imaginable), has thriller like elements (twenty-four hours ticking time bomb), friendship (two new friends) I’ve told you a lot without making your eyes glaze over. Ask yourself what the core of your book is about. Write it down. Or do you already have back cover copy? Does that truly reflect the essence of your story? Cut that down. But if you’re doing this for the first time write down your core message. Don’t worry about the word count yet. Then you’re going to put your editor hat on and you’re going to cut that message down. Keep the 25 word count in mind. Aim for that. Bounce it off your critique partners. Or other writer friends. You’ll know when you’re ready. I’ve wanted to be a published author my whole life. It wasn’t just writing I wanted to do. I wanted my name on a hardcover book, copies in all the big book stores, and tons of readers. By the time I was really ready to publish a book, the publishing industry changed. The odds of seeing my name on a hardcover book dropped to nil and my books in a book store? Well, what book stores? But that was okay, I could adjust the dream. I wanted an agent and a traditional publishing deal. I wanted someone on the other side of the gate to validate me as a writer. And I came pretty darn close. An editor of a small publishing house loved Welcome to Kata-Tartaroo. She said she’d never seen anything like it before. Finally, I found success. Not. She fell off the face of the earth for a year. She ignored my emails wondering when we’d get started with our process then one year later she wanted to know if my book was still available. Really? I wanted to say. Where have you been all this time? The book wasn’t available. After much deliberation and some advice from a successful friend in the industry, Jen Talty, (Check her out. You’ll love her books) I decided to self-publish. I hate that term. Self-Publish. I didn’t do it by myself. I hired a professional editor. Someone who worked in the traditional business for fifteen years before going off on her own. I hired a cover designer and my covers rock. They look better than many traditionally published books. I hired a formatter to set my books up for print and the E version. I never paid anyone to publish my books. A way for me to put my books out in the market had become available without the aid of an agent or an editor of a publishing house and I took advantage of it. It shouldn’t matter how I published, but it does and not just to me. I spend a lot of time educating myself on the craft and business of writing. I follow Bob Mayer religiously (someone else you should check out. His books are great and he’s the expert in the industry on publishing. If you’re a writer reading this and you don’t follow Bob, start.) Bob says if you’re a new writer you should traditionally publish first then switch to self-publishing to become a hybrid author. (The term Bob coined.) I didn’t follow that advice, maybe I should have. As a self-published author (instead of self-published how about avant-garde publisher?) there are things in the industry not available to me. Writing organizations won’t allow me to call myself an author because I’m not with a publisher on their list. I can’t get reviews from the elite review organizations unless I pay for them. And today I found out an event I attended last year isn’t open to me this year because they went and changed the parameters to traditionally published only. Which really made me mad. I know why they do it. Anyone can self-publish. (Let’s say that’s different than what I did. Remember, our new term, avant-garde publisher.) Anyone can write a book, slap their pen down and upload it to a publishing site and voila! Millions of people can now see your book. Many and I mean many of these writers don’t take the time to learn their craft. They wrote their first book and think it’s so fabulous it must be a best-seller. (I did too, but that isn’t the book I published. I learned why it shouldn’t be published.) Now, don’t get me wrong, some people do publish their first book ever written, but if it isn’t at the insistence of an editor, I might hesitate. Maybe these self-pubbed authors even hired an editor like I did, but they really don’t know the craft well enough and they still publish too soon. I’ve met a lot of these people. I meet a lot of writers many of them self-published. I check out their work just to see if I’m wrong and I’m usually not. They make all the amateur mistakes new writers make and then they go ahead and publish anyway. Because they can. And that makes it bad for writers like me. What makes me an expert on how to write? Twelve years of attending workshops, conferences, and seminars. Writing six books. Learning from my critique partners. Teaching creative writing to others. So, I recognize right away when an author decides we needed to know all the backstory on the first ten pages before the story even begins because the author thinks the reader won’t understand what’s happening. Amateur mistake. And good Lord, it’s made a lot. Quite honestly, I don’t want to be in that group with those writers. I don’t want to be alongside the writers who don’t know how to write, (like the author who wanted to write a romance novel about a married couple who were in love. And showed me the description for the back cover copy. What??? I wanted to say. Have you even read a romance???) but put a book out there because they could. So, yes, I’m a self-publishing snob. I hate when people ask me who my publisher is because I don’t want to tell them. My writer friends tell me not to worry. Everyone is self-publishing now. Yes, authors who were with a traditional house are switching over because you have total control of your books, your brand, the price you charge and the design on your covers. You also make more money on each book. The same goes for me so that’s the up side and a strong one at that. Plus, traditional and self-pubbed have to do the same amount of marketing themselves, unless you’re Stephen King, so why traditionally publish at all? To swim with the big kids. Just once. Maybe if my sales were sky-rocketing I wouldn’t care about my self avant-garde published persona. Who needs your stupid event, I could say. Sales have nothing to do with where the book is published. That’s all on me and way harder than I ever thought it would be to find readers. Do I give up? Maybe. Write another book? Doing that now. Traditionally publish? Some days yes. Some no. Avant-garde publish? Kind of like the ring to that. I don’t know what the future holds. I hope there’s a spot with my name on another book. I hope I find more readers out there. Or maybe it’s time to take up the violin and put the writing thing away. Who knows. Not me. Are you a snob about anything? How do you handle it? I’d love to hear from you. I often get asked, “Who’s your publisher?” And sometimes I answer, “Why does it matter?” This article offers some insight into the traditional vs. self-published world. Enjoy! I’m not making public announcements in the streets, though I could be persuaded, but I do announce the time every morning. I bang on Noodge 1’s bathroom door and shout the time so he will get out of the shower and make it to the bus on time. I don’t understand why he spends so much time in the shower, and honestly, I don’t want to know, but I do want him to make the bus so I march up the steps, bang on the door, and cry out the time. I don’t want to be the town crier, though I might want to wear the clothes. I want Noodge 1 to wake up by himself, take a shower without a reminder to get out and oh, I don’t know, wear his retainer without being told. “Is that too much to ask?” I ask. But part of me, the mommy part who misses her little bald baby sometimes, takes a deep breath and says “enjoy being the crier. You look good in the hat.” You see, in two very short years, Noodge 1 will be in college and I won’t be able to walk into his room and shake him awake or bang on his bathroom door. I’ll miss him terribly and wake each morning wondering if he got off to class all right. I won’t know how he’s spending his time or if he’s getting his homework done. Noodge 2 doesn’t need me to wake her up, gets ready on time, and has one foot out the door into adulthood already. She won’t step into her brother’s place for me. After Noodge 1 goes, how will I spend my mornings? Folding up the breeches, hanging up the coat, tucking away the tricorne hat. 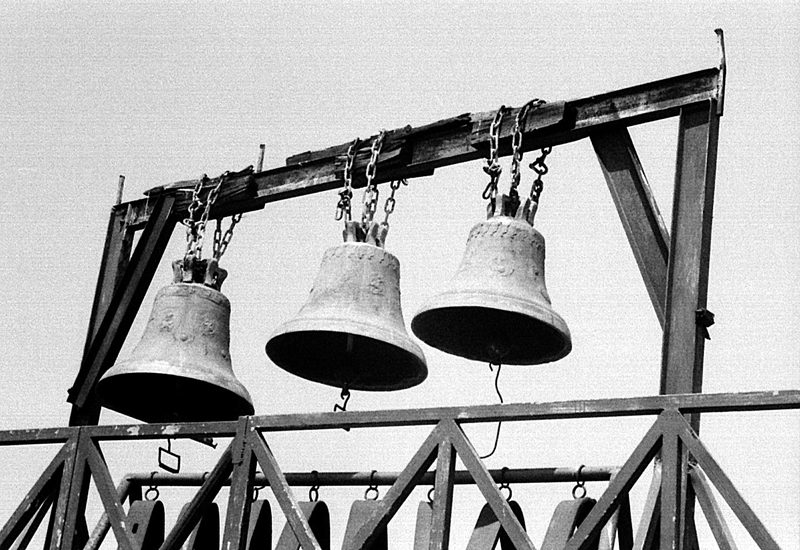 You can bet I’ll never stop ringing that bell! By the way, Welcome To Skull Mountain, book three in the Gabriel Hunter series, is due out the end of November. More details coming soon. But first let me tell you a little story, with the upcoming release of my third book, I’m going to submit Welcome To Kata-Tartaroo (Book One) to BookBub for selection. BookBub is an on-line ebookstore that allows readers to purchase really good books for a small amount. Not every book submitted is selected, but from my research it appears those books that are selected end up with lots of downloads which means more readers than before. I’d like to be one of those authors. I’d really like to grow my readership, but here’s where I need help. I need more reviews on Amazon and GoodReads in order to be chosen. I don’t have enough now, so if you’ve already read Kata-Tartaroo, and haven’t yet written a review, would you mind writing a short review for me? One sentence will do. It doesn’t have to be 5 stars either. 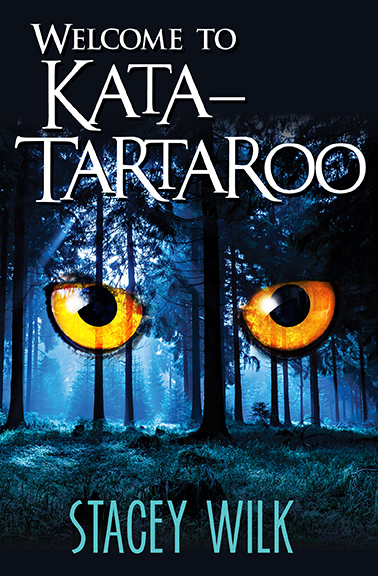 And if you haven’t read Kata-Tartaroo yet, but would like to here’s the link to my Amazon Author’s Page. Please write the review by Sept. 30th then comment back here so I know the review is up and I will put your name in a drawing for one random winner to receive a $25 Amazon Gift Card. Thank you for your continued support of my writing and my blog!! I couldn’t do this without you.